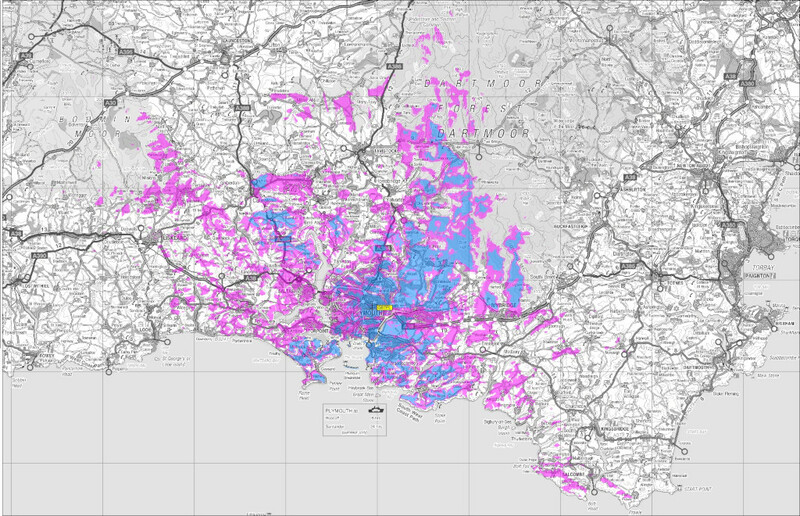 We are proud to present GB7PL, finally bringing this hugely popular digital mode and BrandMeister network connectivity to the city of Plymouth. The repeater has been in the works since mid 2018 and we are glad to finally have it on air for hams in the area to enjoy. DMR has exploded in popularity on the amateur airwaves in the last few years and we are hoping that by finally having a reliable, networked DMR repeater on the air, we will encourage more hams to get into this exciting and powerful digital mode. GB7PL is connected to the BrandMeister worldwide DMR network. As such, we follow their talk group convention. Please be aware there are NO static talk groups on either time slot on this repeater. All national/international working should be done using reflectors when possible. This ensures that there are not multiple talk groups fighting for air time on the repeater. Only one talk group can be used at a time on each time slot, so having multiple active talk groups on each time slot makes no sense. When the repeater is quiet, you are welcome to experiment with user-activated talk groups. Any UA talk groups will disconnect after 10 minutes of no local RF activity. Please only connect talk groups which don't have an associated reflector. All other wide area working should be on on TS2 TG9 using the reflector system (see below). If your radio has promiscuous mode, please disable it unless you understand exactly how it works and what its limitations are. You should set your admit criteria to colour code free and the in call criteria should be set the same or to follow admit criteria. TS1 TG9 should be used for local QSOs - this channel will act like a standalone local repeater. Hotspot users can use BrandMeister TG235228 to join QSOs on this channel. Local RF users MUST use TG9, and NOT TG235228. The repeater transparently routes TG235228 from BrandMeister to TS1 TG9 on the repeater, without users having to do anything. TS2 TG9 is used for connecting wide area talk groups using the BrandMeister reflector system. Reflectors are a handy way to dynamically link other talk groups to TS2 TG9 on this repeater. It works by placing a private call for approximately one second to the appropriate reflector number on TS2. The system will then give a voice announcement to tell you the link has been created, and you will start hearing traffic from that reflector on TS2 TG9. Remember, one of the main advantages of DMR is that the two time slots can be used simultaneously, as if they were two separate repeaters. This means that a QSO can be in progress between two local RF users on TS1 TG9, and at the same time another local RF user can be having a QSO with a remote user through a reflector on TS2 TG9. A full list of talk groups and reflectors on the BrandMeister network can be found here. If your radio does not have a numeric keypad, you can program additional channels with the reflector number as a private call (for example, one channel for private call to 4400, another channel for private call to 4639 etc). Then, to change reflector, you simple select that channel and key up for one second, and then switch back to TS2 TG9. If a reflector other than 4400 is connected, and there is no local RF activity for 30 minutes, the repeater will automatically reconnect to 4400. You can request the current link status by making a one second private call to 5000, and you can disconnect from the current reflector by making a one second private call to 4000. Be aware that you can only connect/disconnect reflectors or request status while there is no activity on TS2, so you will need to wait for a gap between overs. This may be difficult when there is a lot of activity on the current reflector, which is why it is good courtesy to leave at least a four second gap between overs. As well as allowing all of the repeaters on the network to catch up and guaranteeing the time-out timers all reset, it allows repeater and hotspot users a chance to change/disconnect reflectors. Text messages and private calls may be made over BrandMeister but please be aware that during a private call, you are denying the use of that time slot to everyone else. Please use TS1 for private calls, text messages and other experimentation, and be sure to make sure there is no QSO in progress on TS1 TG9 before doing so. The repeater is located at a residential property in Higher Compton, Plymouth. The aerial is a Sharman X-200 which is mounted approximately 90 metres above sea level. The repeater itself comprises a Motorola GM350 for TX and a Motorola GM950 for RX, connected through a duplexer to the aerial by high quality LMR-400 coaxial cable. A Raspberry Pi 3B with an MMDVM provides the DMR and BrandMeister capability. The internet connection for the repeater is generously provided by Plymouth Landlord. The repeater transmits approximately 24.5 watts ERP and provides good coverage over Plymouth, Plympton, Plymstock, Saltash, and Torpoint. Coverage may fall off in extreme low lying areas and around the far west of Plymouth. Access may be possible from elevated areas further afield. Something extremely cool coming here soon. Stay tuned. The repeater cost money to build and it costs money to operate. So far, this has been covered out of the pockets of G7TEM and 2E0JXP. If you would like to contribute to the running and upkeep, you can send donations of any amount via PayPal to [email protected] (or use this link) - all donations will be greatly appreciated and we will try to thank all donors on this page. Thank you. © Jani Pewter. Design: HTML5 UP. Powered by nginx + cloudflare.